It’s the heart that matters. That’s the way Zack sees it. We couldn’t have said it better ourselves, and we’re thankful Zack is one of the professionals at the heart of Dietrich Homes. 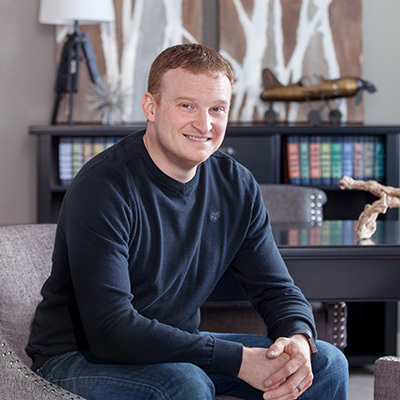 As a jobsite manager and carpenter, Zack’s work is at the core of the structural integrity and finished appeal of every home we build, whether it’s a custom Design-Build or from our Inspired line. In addition to the exceptional craftsmanship, our clients appreciate Zack’s straight-forward, level-headed approach, which he says revolves around honesty and integrity. Zack holds himself to an even higher standard, what he calls “absolute pride,” both for himself in doing exceptional work and for the people who are going to call the structure home. That sense of dignity, combined with flexibility learned as a U.S. Navy brat, have served Zack well throughout his life. His parents were both career military professionals, so he moved around a lot as a kid, including a three-year stint at the base at Guantanamo Bay, Cuba. Those experiences resulted in a calm, collected person who deals with change well and brings a different perspective to solving problem. Prior to joining us, Zack was a jobsite manager and lead carpenter for a Wisconsin company, and before that he was a master certified Ford technician. He holds a degree in automotive and diesel technology from Universal Technical Institute. Zack and his wife, Kara, have a chocolate lab named Elvira, who is his constant companion on hunting trips for pheasants and turkey. When he’s not doing that, his heart is in his other hobby, woodworking. Heart, and we’d add soul, too, because that’s what Zack gives on the jobsite, working hard every day to build your dreams.